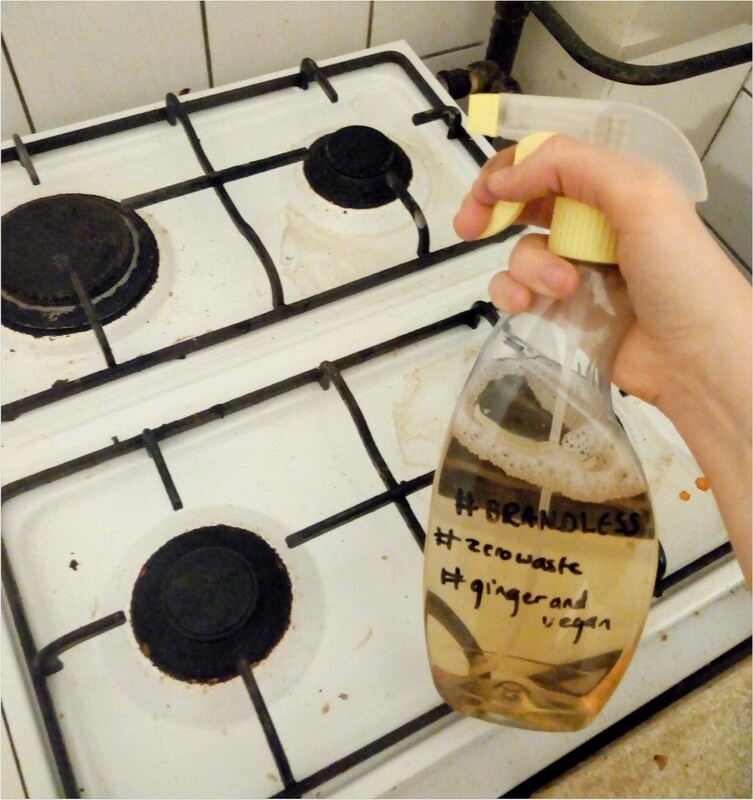 Jas (The Ginger) and Morgana (The Vegan) are undertaking the Zero Waste Challenge: finding ways to refuse, reuse, reduce, and recycle as much as possible in their lives, and ask you to join them on their journey. "Toxins" is a word that doesn’t really mean anything, it's mainly used for marketing purposes. It makes you afraid of normal things you don't need to. So let's go about this another way. Jas is a total sceptic about being afraid of chemicals. It has to be tested before it comes to the market. People would not create products that are harmful to their fellow humans. So, Jas did some research. Jas is now concerned about the commonly used cleaning products. Don’t get us wrong, you are not going to find her running through a forest, singing about being at one with nature, wishing to be buried in a giant vat of coconut oil. It's not like we're destroying our insides each time we use cleaning products with artificial chemicals. But logically, how long can we go using "unnatural" products before our body realises we're inhaling things we're not meant to? On top of this, academics are beginning to think that in our uber clean world we are killing the "good" germs along with the bad ones with our aggressive cleaning sprays. There is evidence to suggest that this lack of exposure to germs causes everything from asthma to auto-immune disease. Make your own cleaner from products that don’t contain artificial chemicals. To us, this seemed strange. All recipes for household cleaners involved mixing various edible things with water. So does that mean when we spill food, we clean it up with more food? Really? Yes. Yes, it does. It turns out that if you own apple cider vinegar and baking soda, you can be the proud owner of a mixture that cleans anything you can put your hands on — from glass to microwave. We recommend diving into the internet to find tailored recipes for your cleaning needs, but here are some general ones so you get the idea. We made the vinegar spray to clean some surfaces in our kitchen. Jas was STILL sceptical. Could you really clean using vinegar? It DOES what it says it will, cleaning surfaces. On the windowsill, it worked like a dream. On the stove, it worked after using a tenth of the bottle, so we're not sure if it was the constant scrubbing or the spray that did the cleaning. HOWEVER, the apartment did NOT smell like chemicals afterwards. We weren’t aware of how much it could affect the feel and smell of the apartment until it was gone. On top of this, by using our homemade spray we were able to join the #brandless movement, which probably put our street cred up a significant amount. We did learn you should never throw out a plastic spray bottle once you've used it, there are a million uses for bottles around the house. Whilst the basic "vinegar spray" worked, it didn’t work as well as a mass-produced cleaner could. We will be trying other homemade sprays that are more "aggressive," and are optimistic about cutting our cleaning waste for good in the future! This article is part of our 30 days Zero Waste challenge. Read what Jas and Morgana were up to in the past few days. The Intercept has just released "A Message From the Future," a short science fiction movie narrated by Alexandria Ocasio-Cortez and drawn by Molly Crabapple, describing the coming "Green New Deal Decade," when Americans pulled together and found prosperity, stability, solidarity and full employment through a massive, nationwide effort to refit the country to be resilient to climate shocks and stem the tide of global climate change. It's an astonishingly moving and beautiful piece, and deploys a tactic that has been surprisingly effective at mobilising large groups of people: creating a retrospective describing the successful project to inspire people to make it a success. Famously, this is the tactic that Jeff Bezos insists on at Amazon for the launch of new internal projects: ambitious internal entrepreneurs must submit a memo describing the project as a fait accompli, and if the description is compelling and exciting enough, they get the resources to make it happen. But it's not just Amazon: as anthropologist Gabriella Coleman describes in Hacker, Hoaxer, Whistleblower, Spy, her seminal 2014 study of Anonymous, this is how Anon ops get started: an individual Anon makes a video announcing victory in some op that hasn't taken place yet, and if enough other anons are inspired by it to make it happen, then it happens. In her article accompanying the video, Naomi Klein describes the audacity of other projects on this scale, like FDR's New Deal, and how much skepticism they were met with at their outset -- and how, as the vision caught on, it spread like wildfire through the population, so that something that was once impossible became inevitable. Through programs including the Federal Art Project, Federal Music Project, Federal Theater Project, and Federal Writers Project (all part of the WPA), as well as the Treasury Section of Painting and Sculpture and several others, tens of thousands of painters, musicians, photographers, playwrights, filmmakers, actors, authors, and a huge array of craftspeople found meaningful work, with unprecedented support going to African-American and Indigenous artists. This article was originally published on BoingBoing under a Creative Commons license. It's written by Cory Doctorow. You can read the original article here. Is Instagram's upcoming donation sticker just a way to lure credit card numbers? Last February, Facebook announced that it will release a donation sticker feature on Instagram, giving its users the possibility to support charitable organizations through Instagram Stories. The move is part of Facebook conglomerate’s increasing interest in philanthropy. If you’re on Facebook, you’ve probably already come across a fundraiser from a friend, asking you to donate to a charitable cause. Or maybe, you set one up yourself for your birthday. This Charitable Giving feature on Facebook raised over $ 1 billion as of November 2018. It seems that Zuckerberg’s plan is to transform his social media into the go-to virtual place for charitable donations. The endeavor appears nothing but noble and laudable. On Facebook, donors enjoy a smooth experience that allows them to donate to their favorite organizations in a matter of seconds and to share their philanthropic efforts with friends and followers. Moreover, Facebook does all of this for free, having abolished its transaction fee in November 2017. There are no reasons to suspect that Instagram’s upcoming donation sticker will be anything but another sleek and convenient feature of the Facebook family. However, over the years, we have learned that when Facebook says “it’s free”, it might mean you’re paying in currencies different than a direct monetary transaction. Again, there are no reasons to suspect that it will be any different when it comes to Instagram’s new donation sticker. To explain my point, let’s look at the bigger picture and consider the general direction Instagram is going towards. Last March, the social network rolled out a new feature called “Checkout”, which enables users to buy directly from select brands on the platform. Users can shop for items on their favorite brands’ Instagram profiles and head to an in-app payment screen to order them, paying with the credit card information they have stored on the platform. The aim is evidently to transform Instagram into an e-commerce app, adding another revenue stream next to the ad dollars. Soon after Facebook announced the “Checkout on Instagram” feature, Deutsche Bank wrote a note to investors highlighting how the move could enable an “incremental $10 billion of revenue in 2021”. Wondering if the average user would be willing to hand payment data to Instagram, the Deutsche bank memo fconcluded that many people already use Facebook for charitable donations through the app’s giving tools, and might be willing to extend that to shopping. In a way, it seems that Facebook will use philanthropy as a lubricant oil to ease its transition from a social media platform to an e-commerce one. I’m not saying that this is the only reason Instagram is adding a donation sticker to its deck (they also just like to monopolize your digital life) or that the donations made through it will be tainted. This is just an invitation to reflect on the way social media are reshaping the world of philanthropy and whether we like it or not. Full disclosure: one of the reasons I've been thinking about this is that also here at Kinder we're trying to build some digital tools to make donations to charities more convenient and rewarding. Obviously, we don't have Facebook's firepower so I hope that Facebook's donation tools will continue raising generous amounts of money. It's just that they're also part of the company's bigger expansion plans. Since philanthropy really is a noble undertaking, it would just be better if the donation tools were clearly separated from Facebook’s more commercial functionalities. But Instagram’s donation sticker has yet to be implemented on the platform, so there’s still plenty of time to fully remedy the situation. In March 2019, Mozambican professor Emília Nhalevilo took office as dean of the recently-created Púnguè University, becoming thus the first women to ever lead a public university in the African country. She was nominated by President Filipe Nyusi, but the decision about the recently-created universities was announced by the Council of Ministers on January 29. Nhalevilo will remain in office, in principle, for a period of four years. Born in Nampula, the most populous province in Mozambique, Nhalevilo holds a doctorate and master's degree in education from the University of Perth, Australia, and a bachelor's degree in science education from Pedagogical University (UP). From 2005 to 2007, she worked as Professor at Curtin University of Technology, in Australia. In 2008, Nhalevilo became the head of the chemistry department at UP, and then took office as deputy director of the Center for Mozambican Studies and Ethnoscience, a research center at the same institution. In 2017, she was a fellow with the Fulbright Visiting Scholar Program at the Steinhardt School of Culture, Education, and Human Development of New York University, in the United States. Nhalevilo was the vice-dean for research and extension in the UP since 2018. As dean of a public university, her current position is equivalent to that of a minister in Mozambique. Nhalevilo is the first woman to lead a Public University in Mozambique. Congratulations to the Magnificent Rector! For more women in the Universities, For more women in the lead! In Mozambique, women still face challenges in accessing leadership and management positions. But there have been improvements: in the current parliament, for example, both the president of the assembly and the heads of the two largest political caucus are women. But gender inequality still prevails in the southern African country. The UNDP's 2016 Africa Human Development Report, whose title is “Accelerating Gender Equality and Women's Empowerment in Africa,” revealed that Mozambican women and girls continue to suffer from inequalities, such as poor access to justice, poor access to school and health care, and repeated acts of violence. In 2018, there were 25,356 cases of domestic violence in Mozambique, of which 12,500 were against women and 9,000 against children. Mozambique ranks 10th in the world for child marriages, according to a UNICEF report from 2015. The organization defines “child marriage” as a marital union in which at least one person is under the age of 18. In mid-2018, pilot Admira António became the first woman to ever captain a flight in Mozambique, while in December 2018, an all-female flight crew took to the skies for the first time. In 2014, when the Police of the Republic of Mozambique turned 39, Arsenia Massingue was presented as the first woman general in the corporation. This article is republished from Global Voices. It's written by Alexandre Nhampossa and translated by Dércio Tsandzana. You can read the original article here.